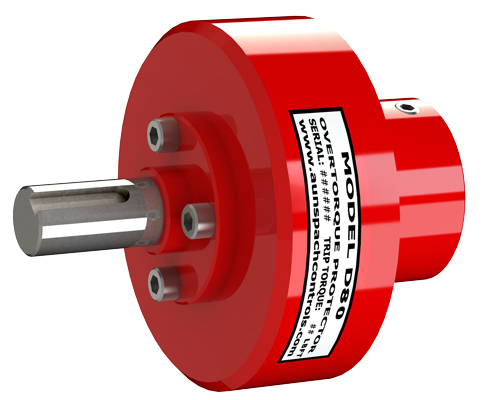 The Limitorque Pneumatic Compact (LPC) Scotch Yoke is a robust yet lightweight, modular, pneumatic, piston-type actuator design, with nodular cast iron housing and carbon steel ENP cylinders that is exclusively distributed to both Australia and New Zealand by Acrodyne. 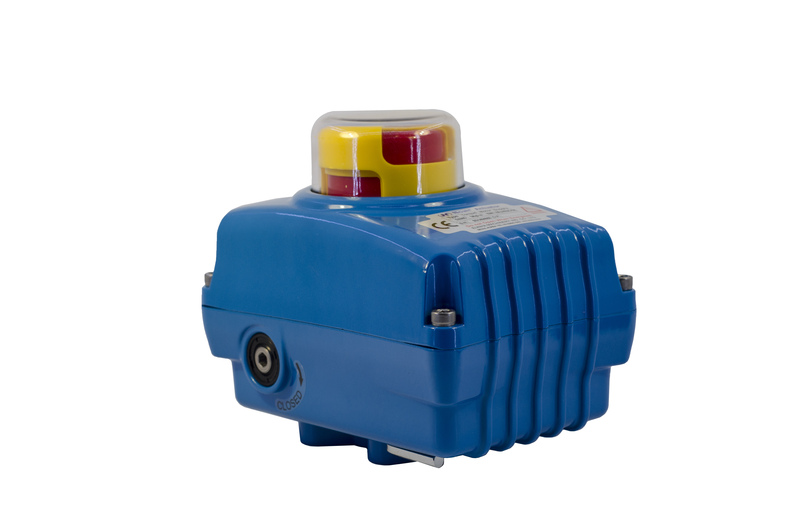 LPC pneumatic actuator is available in both spring-return and double-acting configurations, with easy field conversion feature from Fail Close CW to Fail Open CCW. 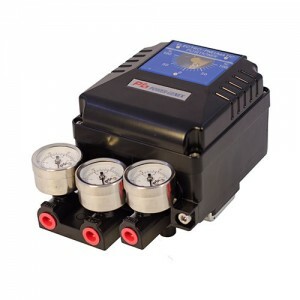 With a maximum allowable working pressure of 12 barg (174 psig), it is ideally suited for smaller size valves and those requiring less than 1600 Nm (1180 ft-lb) of maximum output torque. The LPC is fully complementary to the LPS, employing a similar design philosophy and meeting the same industry specifications, but in a more compact, lower cost package. 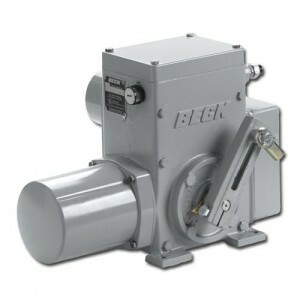 Industry-leading, 25-year design life, depending on service conditions, proper installation, operation and maintenance. 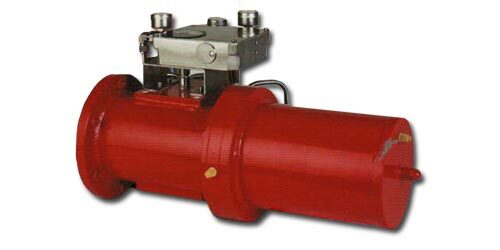 Compact design with springs installed on the same side of the cylinder and retained by the piston and piston rod, features a true modular design with modules assembled and tested as separates units. 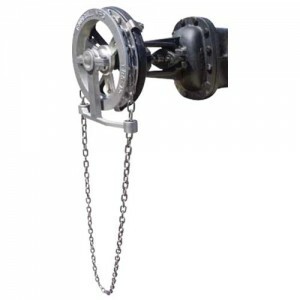 The push-to-compress springs are safely enclosed by tie rods and positively retained on the torque module under all load conditions. The pneumatic cylinder proven and reliable design with external tie rods is suitable for continuous duty service at the maximum rated pressure. The LPC is designed for a maximum allowable working pressure of 12 barg (174 psig), as standard for operation across a full range of applications. 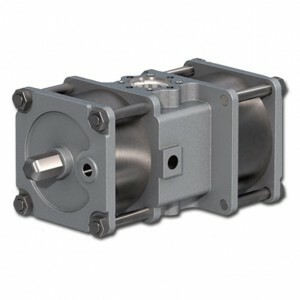 Its low displacement design reduces operation and controls package costs. 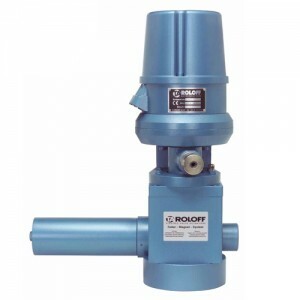 The actuator is available in single-acting spring return (Fail Close CW and Fail Open CCW) and double-acting (Fail Last / Fail as Is) Upon request, available in balanced weight configuration, with cylinder and spring installed on opposite sides of central body (for this option, contact Flowserve). Wear and corrosion protection of all components is ensured with suitable treatments and coatings. 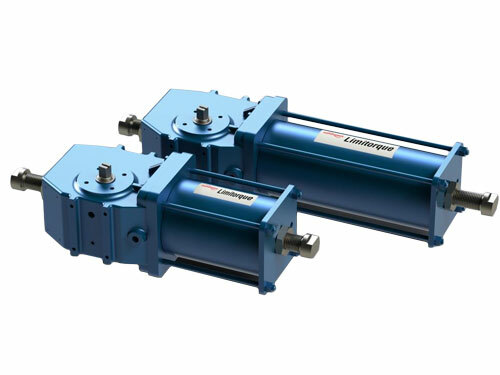 Electroless nickel plating is the standard for the internal surface of the pneumatic cylinder to ensure complete sealing and superior corrosion resistance. Other coatings for the internal surface of the cylinder are available upon request. Rapid emergency response in less than 0.5 seconds achieved through optimized design. The LPC is designed with emphasis on ever-increasing requirements for fast response time. 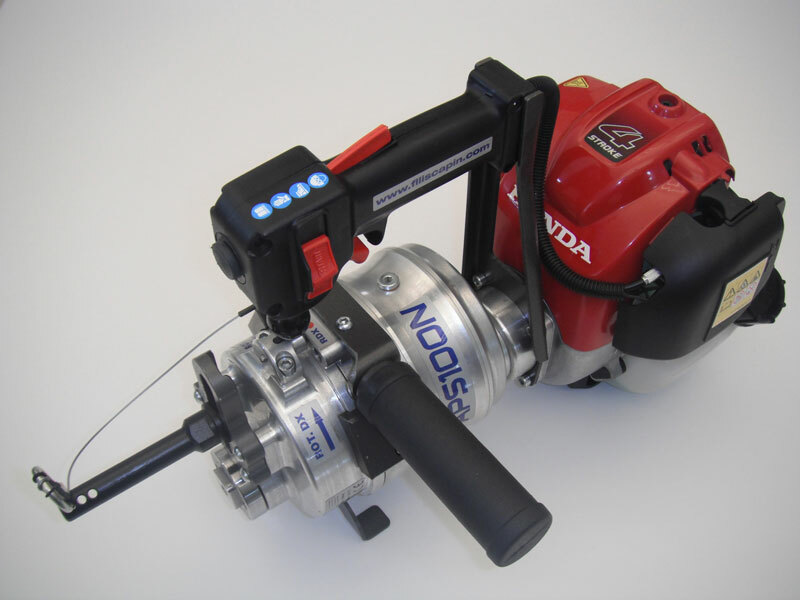 The result is the smallest possible displacement volume for given torque outputs, resulting in the fastest possible cylinder exhaust, making it ideal for emergency applications such as EDS and HIPPS. 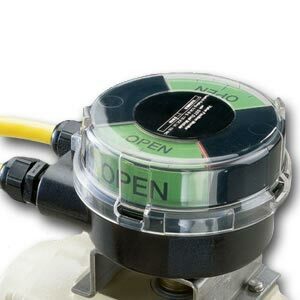 Lockout modules, manual overrides, other controls and accessories are available.